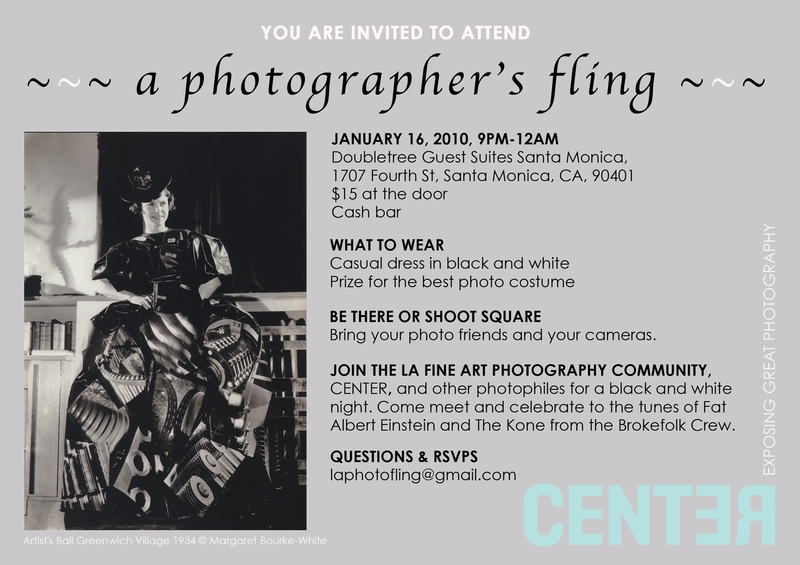 Just wanted to give you a heads up about the first city-wide Fine Art Photographer’s party on Saturday, January 16th from 9-12 at the Doubletree Hotel in Santa Monica (on 4th Street across from Photo LA). I hatched this idea as an attempt to unify our community, and then CENTER got involved and we are giving it a try. It’s $15 at the door with a no host bar, a DJ (though the first hour will be on the quieter side). So come meet your fellow photographers!